We love movies based on books, and we love the New Zealand International Film Festival! Maybe you’ve read the book and want to see the adaptation, or maybe you just think “I’ve heard of that!” Whatever the reason, check out the great films based on these literary works during this year’s festival. Berlin Syndrome directed by Cate Shortland. Based on the novel Berlin Syndrome. Berlin syndrome / Melanie Joosten. Blade of the Immortal directed by Miike Takashi. Based on the manga series Blade of the Immortal. Blade of the immortal  : blood of a thousand / art and story, Hiroaki Samura. Call Me By Your Name directed by Luca Guadagnino. Based on the novel Call Me By Your Name. Ethel & Ernest directed by Roger Mainwood. 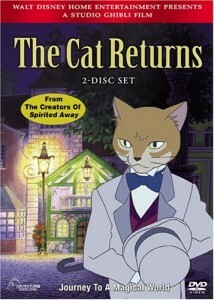 Based on the graphic novel by Raymond Briggs. Ethel & Ernest / Raymond Briggs. Heal the Living directed by Katell Quillévéré. Based on the novel The Heart. The heart : a novel / Maylis de Kerangal ; translated by Sam Taylor. In Times of Fading Light directed by Matti Geschonneck. Based on the novel by Eugen Ruge. In times of fading light : the story of a family / Eugen Ruge ; translated from the German by Anthea Bell. Jasper Jones directed by Rachel Perkins. Based on the novel by Craig Silvey. Jasper Jones : a novel / Craig Silvey. The Lost City of Z directed by James Gray. Based on the book by David Grann. The lost city of Z : a legendary British explorer’s deadly quest to uncover the secrets of the Amazon / David Grann. A Monster Calls directed by J. A. Bayona. 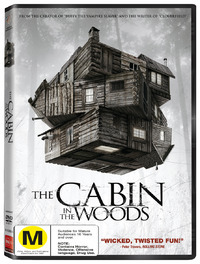 Based on the novel by Patrick Ness. A monster calls : a novel / by Patrick Ness ; from an original idea by Siobhan Dowd ; illustrations by Jim Kay. My Friend Dahmer directed by Marc Meyers. Based on the graphic novel by Derf. My friend Dahmer : a graphic novel / [text and illustrations] by Derf Backderf ; [editor, Charles Kochman]. Swallows and Amazons directed by Philippa Lowthorpe. Based on the novel by Arthur Ransome. Swallows and Amazons / Arthur Ransome ; illustrated by the author with help from Miss Nancy Blackett. Our beloved winter event the New Zealand International Film Festival 2017 opens 28 July in Wellington offering a wide variety of movies from all over the world. To get into the mood, some of our movie buff staff listed their favourite titles from recent festivals and the results are below. We have a lot of movies previously showcased at the festival. You can find the titles here – check them out to have your own festival at home. A sensitive portrayal of a beautiful woman, now aging, who stubbornly wants to keep her apartment despite all odds. A really great kiwi film based on the book by Eleanor Catton. I haven’t read the book but I from my understanding the film only covers part of the story, but you couldn’t tell it was missing anything. I really loved it. 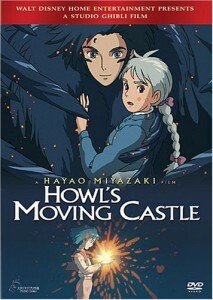 As with any Studio Ghibli film, it was visually stunning. German horror/thriller, part of the new ‘wave’ of non-slasher horror films as represented by films like It Follows, Babadook & Under The Skin. 9 year old twins Lukas & Elias living in an idyllic isolated summer cottage waiting for their Mother to return from having plastic surgery. When she returns her face is covered in bandages, and slowly little things emerge about her seem that seem off. Gradually their suspicions increase… Is that really their mother under the bandages? The nasty twist may be easy for some to spot, but it’s still super creepy. 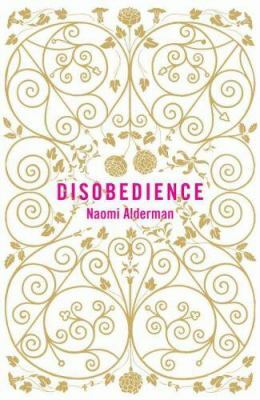 One you immediately love or loathe, a savage indictment of modern interpersonal relationships, taken to its natural dystopian extreme. In the near future, single people, according to the laws of The City, are taken to The Hotel, where they are obliged to find a romantic partner in forty-five days or are transformed into beasts and sent off into The Woods. The newly single Colin Farrell navigates the surreal Hotel, and survives by escaping into The Woods to live with ‘The Loners’ who have their own sets of rules. Perhaps mislabelled as a ‘Comedy’ or a ‘Romance’. 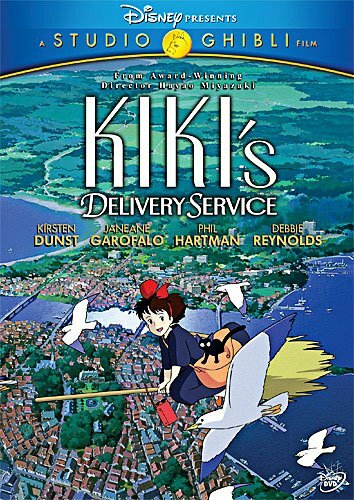 Very very deadpan, but plenty of great lines and moments if you can get into its mindset. Tight indie thriller sees a punk band fall afoul of a bunch of skinheads after accidentally witnessing a murder in an Oregon roadhouse. The claustrophobic setting is put to maximum effect as the skinheads (led by a nasty turn from Patrick Stewart) are determined to eliminate all witnesses. Sadly one of the last roles of the very talented Anton Yelchin. An indie feeling road movie/chase/Science fiction film with family relationship at its core rather than blockbuster special effects. Though it does have one or two nice visual effects to boot. Daniel Radcliffe distances himself even further from this Harry Potter days in this truly bizarre yet rather wonderful film about a magical corpse. A film that works on so many levels . It is touching, funny, serious, intense and a whole gambit more of emotions a really rounded film that asks us to question 21st century life and its true value. My pick of this selection of films. This is an off kilter quirky gem of a film . Two Icelandic brothers who haven’t spoken in years conduct their affairs through their prize herds of sheep. Very black and wry humour throughout. A film that revels in mega low budget science fiction of the 80’s ( in a really fun way) . All the tropes are there and one or two of the actors too!. Set in a drug drenched 1970s an L.A. private eye investigates the disappearance of one of his former girlfriends a hypnotic, rambling, impressionistic film, immersive film perhaps not to everyone’s taste , But so vividly realised you can almost taste and touch 1970s Los Angeles . This is 1970s dystopian science fiction at its best, all exaggerated and exuberant bleakness concrete and chrome, hessian and wood, except for one thing this film was made in 2015. Its retro futuristic Science Fiction at its best and a total blast. The kind of film Ken Russell or Nicholas Roeg might have made back in the day. Paterson – Jim Jarmusch masterfully crafts a quiet but lovely warm-hearted movie about a working class poet Paterson who lives in Paterson, New Jersey. I, Daniel Blake – Anger within but with as little drama as possible, Ken Roach depicts the struggles of a widowed carpenter. One of his finest works. Our Little Sister – A ‘sweet and lovely’ movie which offers beautiful tenderness and emotion though successive small moments of everyday life. The Assassin – a sublime, breathtakingly beautiful film in which every scene is a work of art. My Mother – about facing mortality but Italian auteur Nanni Moretti makes it a charming family drama which has a perfect balance of melodrama and comedy. Embrace of the Serpent –The powerful tale of Western civilization vs. indigenous value takes us into the mysterious Amazon jangle with a stunning image. A Girl Walks Home Alone at Night – often described as ‘the Iranian feminist vampire western’. A little Indie gem. Tehran taxi – Iranian master director Jafar Panahi ingeniously turns the taxi into a mirror of Iranian society. Serious yet playful. From 2016: A War and Green Room – both are recommended for those with strong stomachs. 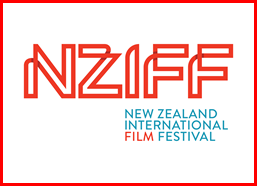 Our favourite time of year has rolled around again – the NZ International Film Festival! This year’s selection is fantastically broad and thoughtful. We’ve put together a list of some of the films in the festival that are based on books or short stories for you to brush up on before you see them on the big screen. Certain Women, directed by Kelly Reichardt. Based on the short stories “Tome”, “Native Sandstone” and “Travis B” by Maile Meloy. Half in love : stories / Maile Meloy. The Handmaiden, directed by Park Chan-wook. Based on the novel Fingersmith by Sarah Waters. High Rise, directed by Ben Wheatley. 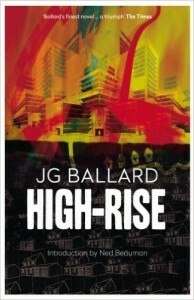 Based on the novel of the same name by J. G. Ballard. Indignation, directed by James Schamus. Based on the novel of the same name by Philip Roth. Julieta, directed by Pedro Almodóvar. Based on the short stories “Chance”, “Soon” and “Silence” by Alice Munro. Runaway : stories / Alice Munro. Life, Animated, directed by Roger Ross Williams. 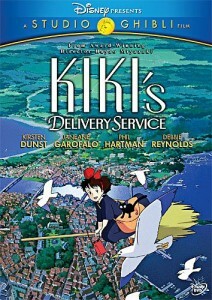 Based on the book of the same name by Ron Suskind. 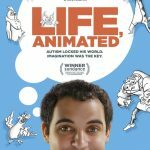 Life, animated : a story of sidekicks, heroes, and autism / Ron Suskind. The Rehearsal, directed by Alison Maclean. Based on the book of the same name by Eleanor Catton. The rehearsal / by Eleanor Catton. Shadow World, directed by Johan Grimonprez. Based on the book The shadow world: inside the global arms trade by Andrew Feinstein. The shadow world : inside the global arms trade / Andrew Feinstein ; research, Paul Holden and Barnaby Pace. Sunset Song, directed by Terence Davies. Based on the novel of the same name by Lewis Grassic Gibbon. Sunset song / Lewis Grassic Gibbon ; edited with an introduction by Tom Crawford. Our favourite winter cultural event is just around the corner. The 44th New Zealand Film Festival opens 24 July in Wellington with a pretty good line-up. You may or may not have thought about your plans for this year, but we have a lot of movies previously showcased at the festival in our DVD collection. Borrow them to get into festival mood or to have your own festival on your couch. You can find the titles we have here. We also asked our cinephile staff to list up their favourite movies from the recent years’ festival. The results are the below. Check them out, too! It was lovely! Beautifully put together archive footage and reenactments, an exploration too of family, remembering and narration. My favourites from last year were Reaching for the Moon and Two Days One Night. Lady from Shanghai – Misunderstood film noir remains an underrated classic in the cannon of writer/director Orson Wells. Less about plot, he concerns himself with the emotional dynamics of character. The story of a dim witted innocent sailor (Wells) caught up in the intrigues of a beautiful femme fatale (a gloriously blonde Rita Hayworth) is almost beside the point. Full of stylish, and innovative cinematography (the aquarium meeting, & specifically the famous ‘Hall-of-mirrors’ shootout’) it’s almost post-modern before anyone invented that term. You’re Next – Bonkers horror/slasher movie sees a young Aussie woman called Erin accompany her boyfriend to his family reunion at their Missouri vacation house, where his parents have gathered their 4 children & significant others together to celebrate their wedding anniversary. Unbeknownst to all is that their neighbors have been brutally attacked by some crossbow wielding psycho’s wearing animal masks, who soon invade their gathering with lethal intent. Who are they & what is their motive? No matter, as also unbeknownst to all, Aussie girl Erin has had a less than ordinary upbringing and is soon bringing the fight to the invaders…Awesome carnage and dark humor ensue. When Orson Welles was still young enough and talented enough to be considered a maverick. Black and white, and nasty perfection. Fictionalised (and glamorised) version of the Frank story that works in ninety minutes, but maybe only hints at some of the complexity and oddness of the original as told in various stories and podcasts by Jon Ronson. Still great and Michael Fassbender is Frank. The Double – Simon is timid, isolated and powerless. Suddenly his doppelganger appears in his life, doing everything Simon does, but better. Simon is horrified when his double begins to take over his life, in every way… This film has some of the best lighting design I’ve ever seen, and the atmosphere it builds is amazing. I also highly recommend Richard Ayoade’s directorial debut Submarine, also an NZIFF selection. Under the Skin – An alien in the body of a human woman comes to Earth to lure Scottish hitchhikers to their deaths. This film is very abstract, I’ve never seen another constructed in this way. You are taken to a new scene, while you are still pondering heavily what just happened for the next few minutes. It also has loads of gorgeous shots of the Scottish moors – worth watching for the visuals alone! Why Don’t You Play in Hell? – This is a totally wacky and fun film about a group of (very) amateur filmmakers, hoping to make the best movie in the world, even if it kills them – which it might! Although depending who you ask, this could also be considered a film about a 10-year rivalry between two yakuza clans over a toothpaste commercial. Either way, it is loads of fun (and gore). Upstream Color – A very abstract film about love, fear, orchids… and pigs. Kris’s life is derailed when she is taken hostage by a thief and made to do things she can’t remember. The experience leaves her lost and fearful, but then she meets Jeff, who has had a similar experience. Together, they set out to reclaim their lives and discover what happened to each of them. Frances Ha – Frances Ha is a lovely, lovely film about the strength of female friendship. Frances is trying to make her way in the world – she just wants to have an apartment, a job, have fun, but it’s not always simple. However, she will do what it takes to follow her dreams. Directed by Noah Baumbach, a festival favourite who has another film screening at NZIFF this year. Cutie and the Boxer – A wonderful documentary about a “boxing” painter and his wife, showcasing their lives and work, which you’ve probably never heard of. The film explores how the roles in their 40 year relationship have changed over time, and the ways that this made them stronger together. It is visually stunning, and the work by both artists is beautiful. Very funny too! Winter Sleep – In a desolate but stunningly beautiful setting in Cappadocia, human egos and prides confront each other. This Bergman-esque compelling drama won the Cannes’ Palme d’Or in 2014 and deservedly so. Two Days One Night – A tense redundancy drama features ever wonderful Marion Cotillard. Another impeccable movie by Dardenne brothers; the champion of social realist drama. Under the Skin – Strange but poetic images and equally weird yet effective music are the driving forces of this unconventional sci-fi thriller. This might open up a new horizon of cinema. The Past – Despite shooting in foreign soil (France) for the first time, Iranian director Asghar Farhadi once again delivers a remarkable family relationship drama. A masterful work. The NZ International Film Festival draws near, and there are a load of literary-inspired works on show this year! Some are adaptations of novels and short stories, some are inspired by literary figureheads, and some are based on fascinating non-fiction titles. Hopefully there’s something here for everyone, and don’t forget to check out the full programme over at the NZFF website! Going clear : Scientology, Hollywood, and the prison of belief / Lawrence Wright. Inherent vice / Thomas Pynchon. 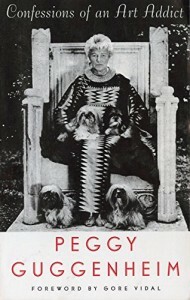 Out of this century : confessions of an art addict / Peggy Guggenheim ; foreword by Gore Vidal ; introd. by Alfred H. Barr. Merchants of doubt : how a handful of scientists obscured the truth on issues from tobacco smoke to global warming / Naomi Oreskes and Erik M. Conway. The New York review of books [electronic resource]. When Marnie was there / Joan G. Robinson ; illustrated by Peggy Fortnum. Holding the man / Timothy Conigrave. Our bodies, ourselves / The Boston Women’s Health Book Collective. The complete cartoons of the New Yorker / edited by Robert Mankoff ; foreword by David Remnick. Tea at the Midland / by David Constantine. Under the banner of heaven : a story of violent faith / Jon Krakauer. Based on: Albert Camus‘ short story The Guest. The outsider / Albert Camus ; translated from the French by Joseph Laredo.